Back on track, in my first meet of the season I ran a new personal record although I couldn't satisfy my expectations. 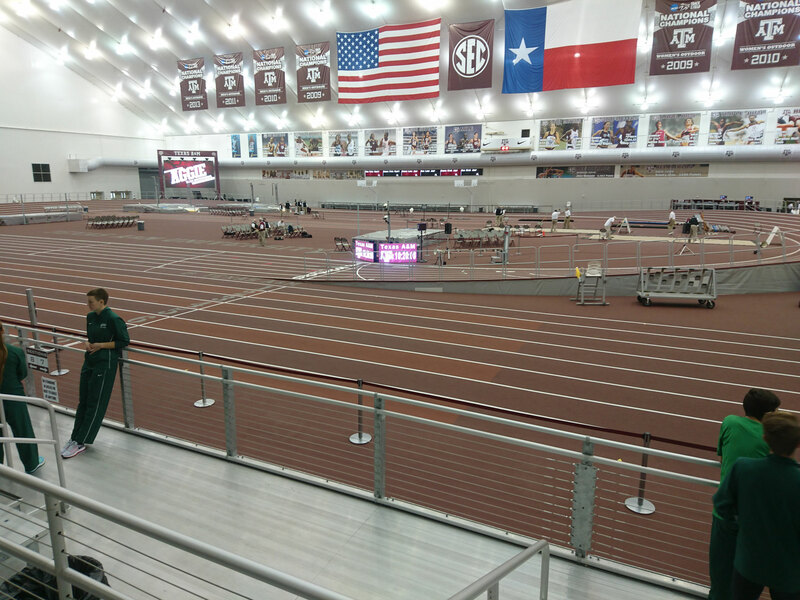 I started my first real indoor track season a few days ago in College Station, Texas. I already ran indoors but this is several years ago and is barely comparable to the big indoor season in the USA. 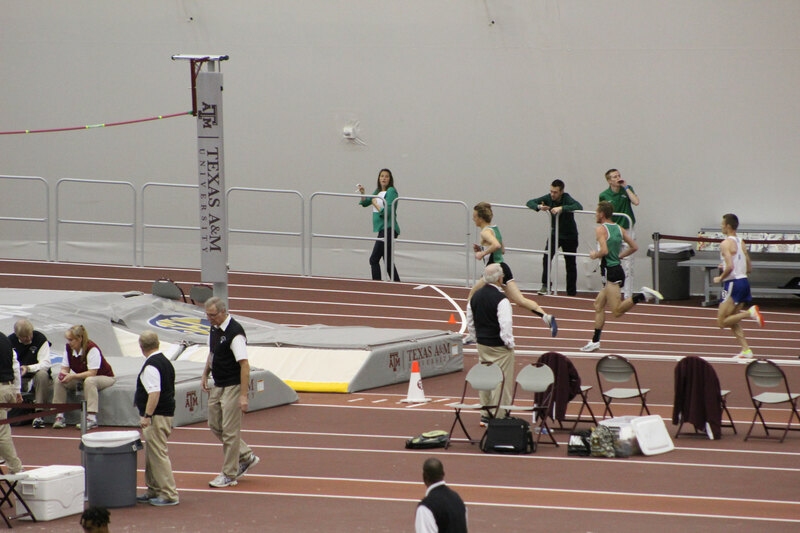 This meet took place in the Gilliam Indoor Station. It's part of the Texas A&M Campus and one of the biggest stadiums of it's kind. As shown in the pictures below, the arena includes a 200m banked track, a sprint track and in addition two areas for shot put and weight throw. Even the spectator capacity is so much bigger than I am used to from Switzerland. Next to this 4000-spectator-stadium, there is a second as big hall with turf which is used as athletes zone and warm-up area! My goal for that 3000m was it to set fast time to get a secure spot in the first heat of the conference championships. To reach that goal, I need to be in the top twelve of the Conference-USA seasonal list. Our race plan was it to start a bit cautious and start to pick up the pace each lap but the pace was already in the beginning too slow so I decided to take the lead. I ran several laps around 34 seconds and I felt really comfortable by running that pace. Although it felt really hard to increase the pace as it was planed. I guess one of the reason for that could be that we just started working out on track and I still have a certain "cross-country-mood" in my legs. After around 1600m in the race, my teammate took the lead and increased the pace. In the same time two other runners went in front of me and I passed the 400m mark in 4th position. In the finish sprint I managed to pass my team mate and finished that race in 3rd place in a time of 8:31.55. As mentioned earlier, this time is a new personal record. Nevertheless, I expected a bit more. In this years conference ranking, there are already five runners who ran sub-8:07 and because of that I have to expect that my time isn't fast enough for the first heat. Because of that I will run an additional 3000m race in a few weeks to be secure my spot in the top 12 of the conference. The changes in my race schedule are actualized in the Calendar. 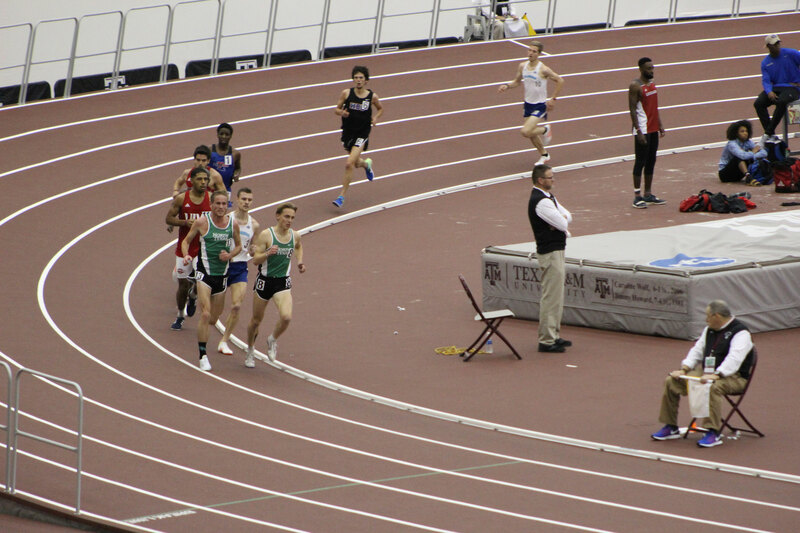 Even though I didn't run the expected fast time, I know I am on the right way and this race gave me the confirmation. I felt really comfortable, while running this pace and was relaxed during the most part of the race which is really essential to me. Now, I have a few weeks left to get done some hard workouts to be ready for some fast times and the tactical races at conference.